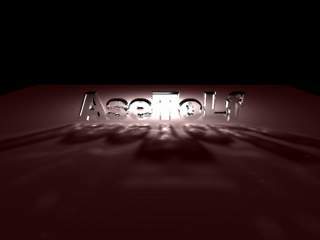 AseToLf is a small program that can convert 3DS Max ASE files (ASCII Scene Export) to Lightflow compatible files (Python Module). It is still in an alpha state of development, since only a small part of classes are exported. I am developing this software for my personal use, but i guess it could be useful to someone else, since Lightflow is such a marvellous program and a growing community is appreciating its capabilities. Here you can download the latest version of Asetolf 0.4.2 (32Kb). Please contact me if you find any bugs, since it's an alpha vesion. If something is missing to you (some dll or ocx), then download this full (and huge!) version here full version 0.2.1 (almost 2 Mb). C version of AseToLf is complete. Now it can handle MUCH bigger files than the previous version and it's also MUCH faster. Here is an example of a 74172 faces model successfully converted. If you like my program, have suggestion or just want to contact me click here. I would like to thank Jacopo Pantaleoni for creating such a incredible program. Thanks to Kam Lai for his useful testing and help. Greetings fly to all my SCM friends and Psico2 "study" hall.